Westwood- tucked away in the gentle rolling hills of Groveland this secluded gem offers peace and serenity from the hustle and bustle. Feel the warmth of home as you enter through stunning leaded glass front door into the foyer that opens to the Great room and Dining Room. This open concept home flows easy. This Kitchen is every chef's dream with extensive countertops for food prep and baking, Stainless refrigerator, and drop station desk. Large Breakfast nook also provides convenience for those busy mornings. The spacious Master Suite is a private retreat as the split floor plan allows for privacy and tranquility. The roomy Master Bath offers garden soaking tub and large double vanities for less congestion. A large OFFICE and two more sizeable bedrooms complete this classic. The soft color palette throughout will complement any decor. Open the triple pocket sliders and step onto the expansive screened lanai and fenced back yard offering evenings of solitude. Remarkable attention to detail has been given to designing the back yard gardens. Enriched with over 30 different species of Florida native plants including Orange, Lemon, Apple, Blueberry, Grapevines, Golden Dew Drops, and more, all designed to attract Butterflies and Hummingbirds year round. 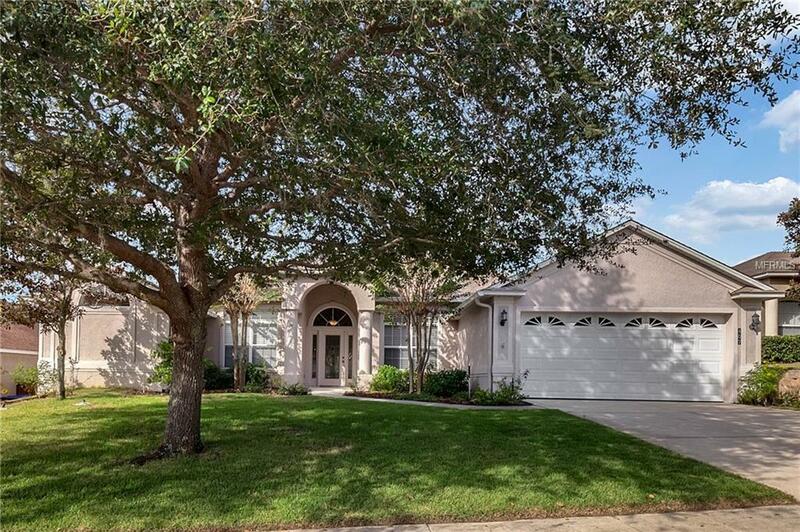 This meticulously maintained home is also enhanced with newer carpet and exterior generator outlet. Close to all shopping, dining and entertainment, and just minutes to Downtown Clermont, this beauty wont last long. Call now and schedule your private showing. Listing provided courtesy of Re/Max Titanium Group.